Home > Blog > Flashpoints > Control Blood Pressure, Prevent Diabetes? Control Blood Pressure, Prevent Diabetes? It’s been known for decades that Type 2 diabetes, high blood pressure, and overweight and obesity are related and often overlapping conditions. After all, there’s a name for a combination of insulin resistance, high blood pressure, obesity, and abnormalities in blood cholesterol and triglyceride levels — metabolic syndrome. But while diabetes and obesity are widely and correctly viewed as being connected, high blood pressure doesn’t have the same reputation for leading to diabetes. That may be about to change, thanks to a new study on how the two conditions are related. The study, published late last month by the journal Diabetologia, looked at the effects of taking blood pressure drugs either just before bed or in the morning. The researchers had previously found that people whose blood pressure doesn’t dip at night naturally have a higher risk of developing Type 2 diabetes, and so they wanted to find out what effect the timing of medications might have. As noted in a HealthDay article on the study, more than 2,000 Spanish adults with high blood pressure — but not diabetes — were recruited as participants. Each participant was randomly assigned to take all blood pressure medicines either before bed or in the morning, indefinitely. Over the average follow-up period of six years, 171 of the participants developed Type 2 diabetes. The researchers found that for every 14-point drop in a participant’s average sleeping systolic (the top number) blood pressure, the person’s risk of developing Type 2 diabetes fell by an average of 30%. Blood pressure drops at night were far more common in the bedtime-medication group, with 68% seeing a drop, compared with just 48% of the morning-medication group. Overall, the risk of developing Type 2 diabetes was 57% lower in the bedtime-medication group. This dramatic difference may be largely due to a hormone called angiotensin, which causes blood vessels to tighten and blood pressure to rise — and also increases the release of glucose from the liver, and reduces insulin sensitivity. The most popular blood pressure drugs — including angiotensin receptor blockers (ARBs), angiotensin-converting enzyme (ACE) inhibitors, and beta blockers — all reduce the activity of angiotensin. Taking any one of these drugs at bedtime, rather than in the morning, reduced the risk of Type 2 diabetes by between 61% and 69%. While one relatively small study should never be viewed as authoritative, the sheer magnitude of the drop in diabetes rates found in this study virtually guarantees that other researchers will continue to examine the effects of blood pressure medications — and their timing — on diabetes risk. In the meantime, it might be a good idea to double-check whether your blood pressure is being adequately controlled, and to pay special attention to your nighttime blood pressure. If you take blood pressure-lowering drugs, consider asking your doctor whether taking them before bed could be better than taking them in the morning. Are you surprised by the results of this study? Has anyone ever told you before that your blood pressure could affect your risk of developing Type 2 diabetes? 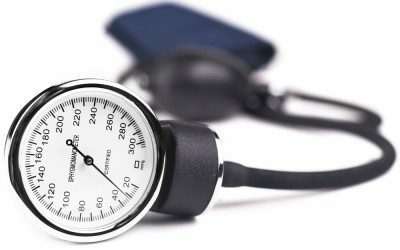 Have you noticed that your blood pressure has any effect on your blood glucose control? If not, will you be looking out for a possible connection between the two? Will you pay more attention to your blood pressure as a result of this study? Leave a comment below!